Kala Ghoda is the centre for art in Mumbai. 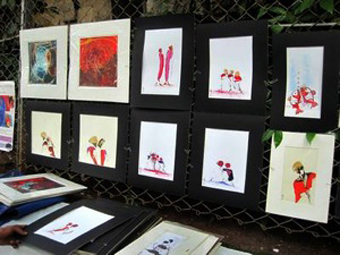 At the centre of Kala Ghoda is Jehangir Art Gallery, where artist M.A. Jafar sells his paintings on the sidewalk outside of this monumental building. He creates his paintings alongside palm-readers, rice-writers and a host of sketch artists who promise to draw your portrait in five minutes or less. The exhibition of Beat Nation begins even before you enter the Vancouver Art Gallery. 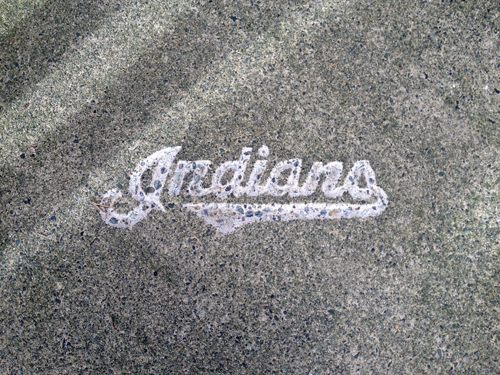 Carved into the cement by the Hornby Street entrance, the stylized logo ‘Indians’ of the Cleveland Major League Baseball team physically imprints the sidewalk with new meaning. Interweaving the history of Vancouver with contemporary re-appropriation, Nicholas Galanin’s piece sets the tone for the work found inside. In the past, the gallery building held the Land Title office of still un-ceded Coast Salish territory. The enlightening play between space, medium and meaning throughout the gallery presents re-interpretations of tradition and the lived experience of Aboriginal people today. 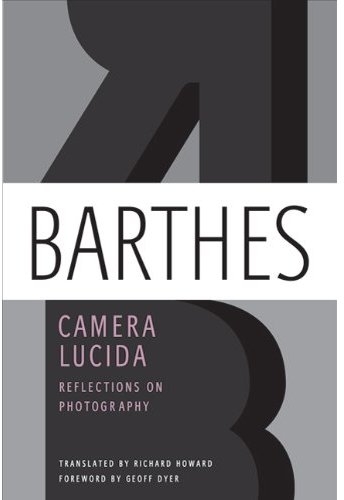 In his influential 1936 essay The Work of Art in the Age of Mechanical Reproduction, German cultural critic Walter Benjamin examined the effects of a changing technological environment on the status and function of art. 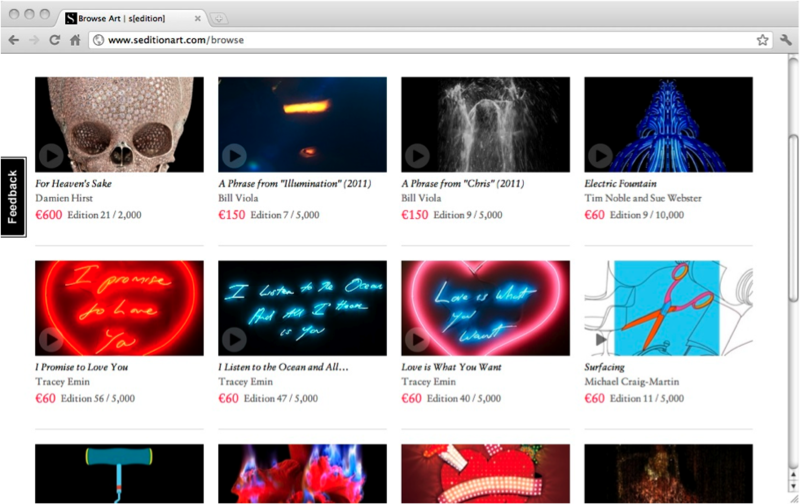 While Benjamin’s predictions—that new reproductive technologies would diminish the symbolic and ritual authority of the “original” art object—have since been contested by art theorists, his work continues to highlight the need to attend to the relationship between changing technologies of representation and the value and function of art in a society. Seventy years later, the development of the internet along with a rapid succession of new digital technologies has ushered in a new technological era: a digital age in which the “original” has become conceptually indistinguishable from its copies. Characterizing this new culture, and reflective of the internet itself, is the increased accessibility and free flow of information and images that threaten capitalist notions of space, private property, and ownership.